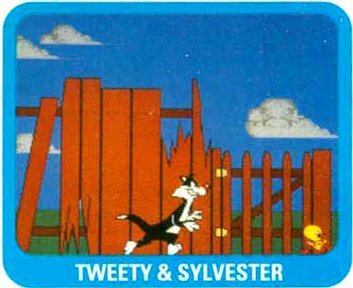 Tweety and Sylvester was an unreleased game based on the popular Warner Bros characters by TecMagik. Tweety and Sylvester was an unreleased game by TecMagik that was apparently completely unrelated to the unreleased game by Sunsoft called Sylvester and Tweety that was in development around the same time. The graphics do look different. I can only guess as to why there would be two Sylvester and Tweety games in development by different companies at the same time. Since the Sunsoft one was in development for much longer, I guess this version was not released due to this conflict. Or maybe it is because TecMagik went out of the 16-bit business (they only released three SNES games)?